Born in Springfield, Illinois and raised in the Southern California town of Redondo Beach, Lauren Woods showed artistic promise from a young age, but didn’t begin seriously dancing until high school. She began with solo dances like modern, jazz, hip-hop and even stomp and cheerleading. While Lauren always dreamt of a future career in the arts, she wouldn’t have believed that she’d be teaching Argentine tango if you had told her years ago. Lauren found her way into tango almost on accident. It all began with her love of classical music. A fan of music by Puccini, Mozart and Verde, she studied opera and classical music in college and went onto work as a professional opera singer. This appreciation for the nuances and distinct sound of each classical instrument led Lauren to an appreciation for Argentine tango music, and thus led to a natural segue into tango dance. While social dancing at Atomic ballroom, she couldn’t resist an opportunity to assist other instructors in their classes. This ultimately led to her teaching her own dance classes at ATOMCI. Now dancing Argentine tango for about 7 years, Lauren currently performs and teaches with her dance partner Claudio Otero, who is a long time Argentine tango instructor, and fellow ATOMIC instructor, originally from Argentina. 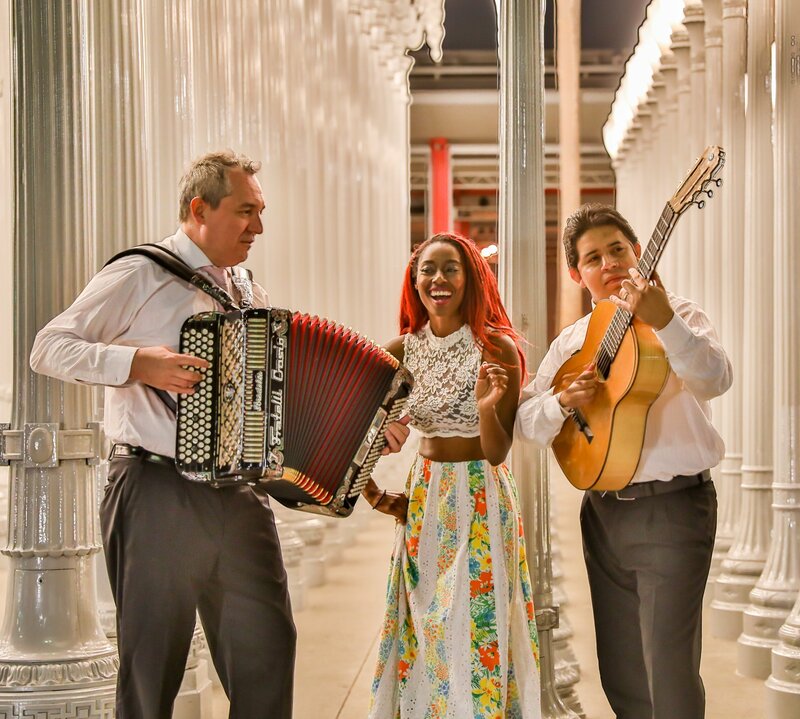 Together, they lead a company called Otero Productions which features an assortment of Argentinian dances such as gaucho, folklore and Argentine tango of course. In her classes, she helps leaders be clear with their suggestions, and helps followers to receive those suggestions and be patient. A principle concept that she hopes students get out of her classes is to focus on proficiency, not perfection. She finds that most of her students seek instruction with the goal of wanting to be able to social dance, or become a better social dancer if they are already part of the scene. This classical trained artist was once really into alternative punk music and the Goth club scene! Favorite color : Blue (but not necessarily to wear. For that, she prefers pink or red). Enjoys : Picnics, quiet time in nature and yoga. What you can expect in Lauren’s classes : Attention to clarity of intention and cleanliness of movement, balanced out in a fun, light hearted atmosphere.